This project entitled C-STEM+ is funded with $1.5 million dollars for three years by the California Department of Education, through a partnership with Yolo County Office of Education (YCOE). The project provides intensive and follow-up training in mathematics, technology, and engineering. The project represents both a countywide professional development model with all five Yolo County school districts participating and a regional model including rural, suburban, and urban high need school districts serving students in Region 3. Over sixty highly qualified teachers have been recruited to participate in the project. C-STEM+ project is highlighted in the CaMSP November 2014 Newsletter. 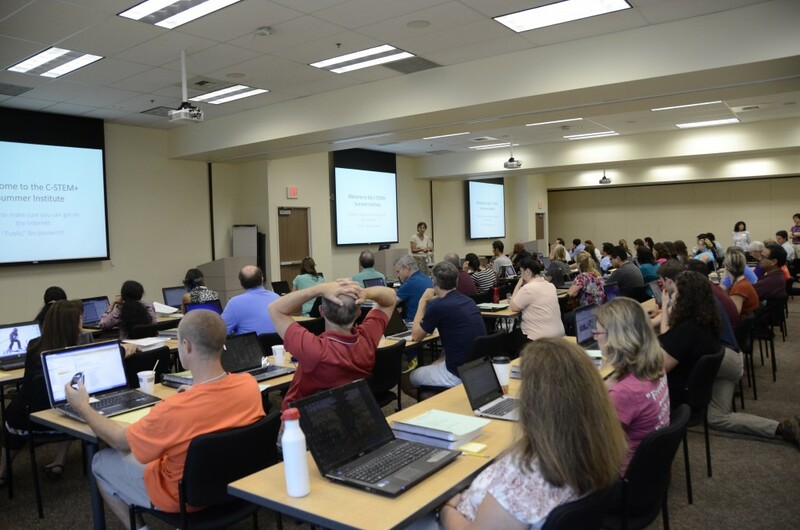 The Professional Development held at Yolo County Office of Education was covered in the news by Davis Enterprise. C-STEM+ will work with two contiguous grade spans, middle grades (6-8) and high school (9-12) and will focus on computer programming and robotics combining mathematics, technology, and engineering. Through its work with educators, the Center integrates computer programming and robotics into teaching STEM subjects by creating project-based computing and robotics activities, integrated curriculum, and hands-on personalized and collaborative learning strategies aligned with Common Core State Standards in mathematics (CCSS-M) and Career Technical Education (CTE) standards. 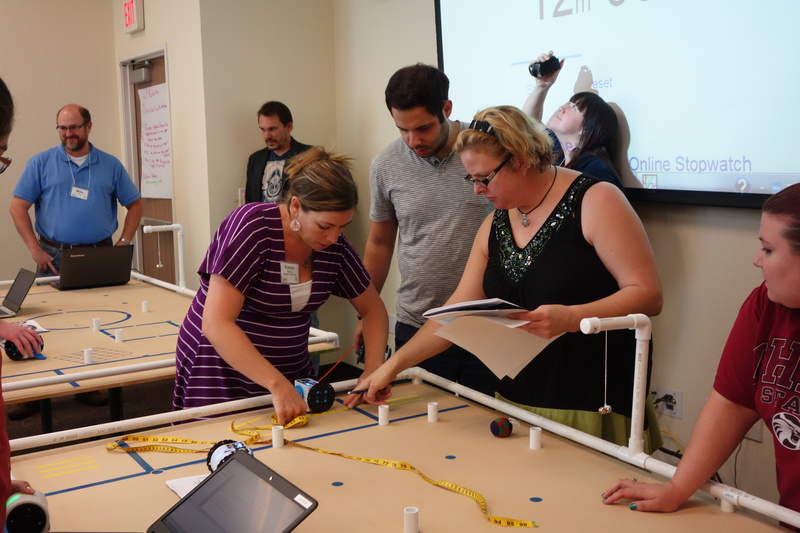 This inter-disciplinary content and pedagogy will help students make meaningful connections between regular STEM topics and their relevance to real-life applications and will help develop students’ critical thinking and problem solving skills. C-STEM+ will provide a new program of study with a sequence of courses that integrates mathematics with technology and engineering through computer programming and robotics. All courses are aligned with the Common Core State Standards in Mathematics, new Career Technical Education Model Curriculum Standards from the Information Communications Technologies industry pathway, and utilize a hands-on project based learning model. 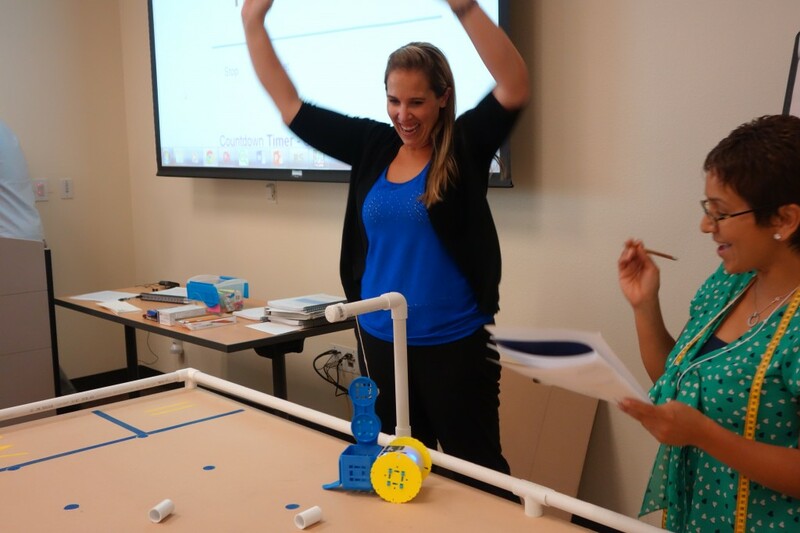 Teachers in C-STEM+ will participate each year in an intensive 60 hours (6 hours/day for 10 days) Summer Computing and Math Institute (SCMI) focused on integrating computer programming and robotics into inter-disciplinary mathematics instruction. 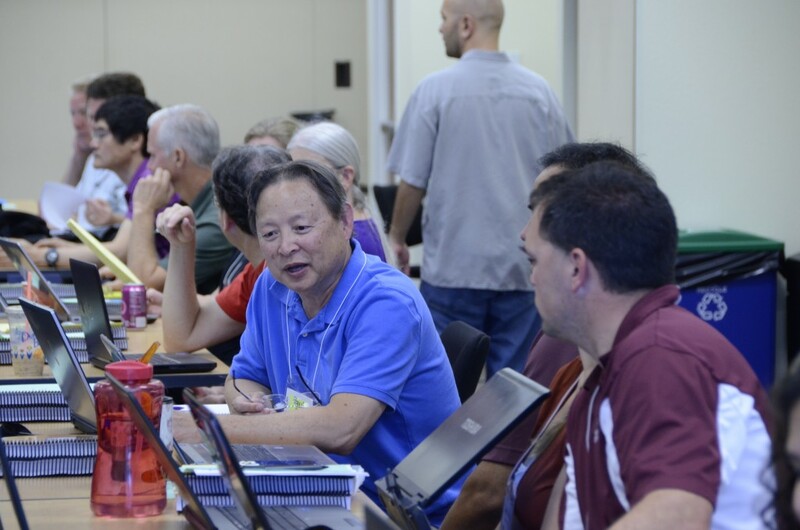 Faculty from the UC Davis C-STEM Center, College of Engineering, and Mathematics Department will conduct the SCMI. All participating teachers will receive 24 hours of follow-up professional development during the regular school year in afterschool and Saturday workshops. Teachers and their students will participate in the annual C-STEM Day with RoboPlay Competition and Math Programming Competition. If you are a math or CTE teacher in one of these school districts and are interested in participating in the project, please Contact Us and Project Director Deborah Bruns at Deborah.Bruns(@)ycoe.org. Unfortunately, we will NOT be providing lunch (as grant won’t cover this expense). Bring a lunch (we have one microwave available but there are 70 participants so keep that in mind). There are a few nearby places to get lunch. We request that you bring a Windows laptop (XP or later) for the training . If you are unable to download these successfully, please email Ryan Mangan, C-STEM Education Specialist at ramangan(@)ucdavis.edu for assistance or come at 8am on Monday, July 21 so that we may help you install the software. You can purchase 6 units of CEU credit for $175 through UCD Extension. The course number is 141EDC720. We will have information on how to do this at the institute but some of you have asked for the course number in advance.